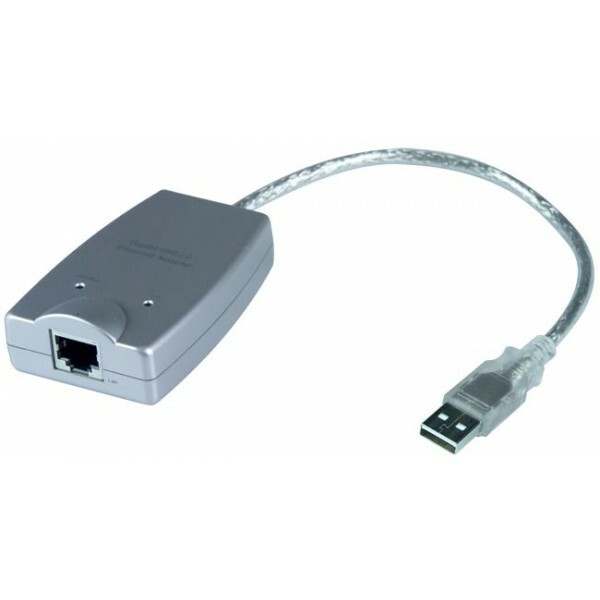 Connect a PC to Gigabit Ethernet network via USB 2.0 port. The USB 2.0 to Ethernet adapter connects your desktop or laptop computer to a Gigabit Ethernet network through a USB 2.0 port. There's no need to purchase a gigabit network card or use a PC Card slot. Just plug the adapter to an existing USB 2.0 port and get connected. Male USB Type A and female RJ45 connectors. Compliant with USB 2.0 and USB 1.0/1.1 specifications. Supports 10/100/1000 Mbps auto-sensing capability. Supports Auto MDIX (straight and cross network cable auto-detection). Supports both full-duplex and half-duplex operation in Fast Ethernet.